Here’s What The Attendees At VP Academy Learned! 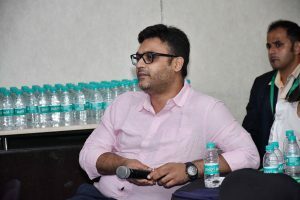 The three speakers were not just the best guides in their specific subjects but also throughout the sessions managed to make a connection with the participants. 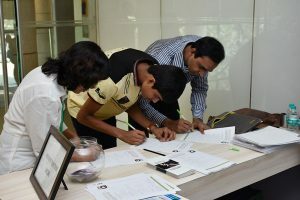 That when asked, the participants showed keen interest in attending the next sessions as well, no matter where they were taking place. 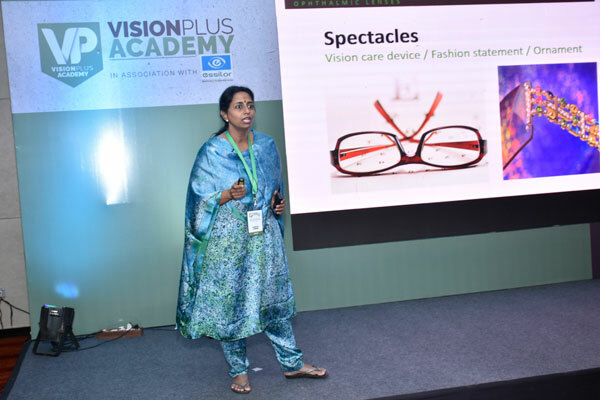 Having trained more than 1000 eye care practitioner and stand through various forums and workshops, Anantha Laksmi is the AGM of Education and Professional Services at Essilor India. 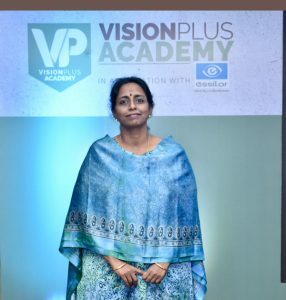 She has contributed her invaluable knowledge to many articles on subjects of optometry and ophthalmology in various magazines. Also, she has a hands-on experience in the professional world as well as in the hospitals. According to Anantha Lakshmi, lenses are high-tech and complex products, the ones that require extra care. A lens should be thinner, lighter and more resistant with superior coatings and tints for more comfort and protection. 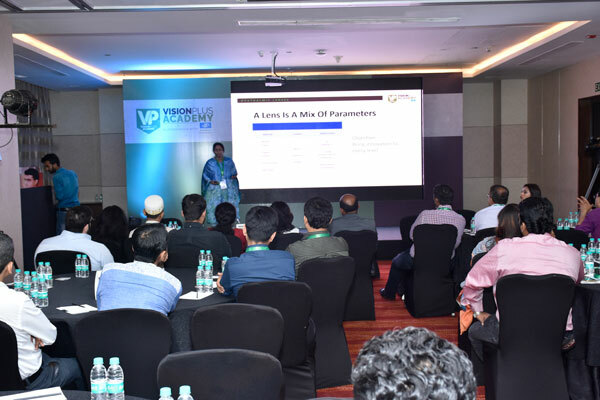 As she moved forward in her session, she also explained how better and new technologies lead to better products and ultimately better vision. As for High Value customer, she led the participants through a detailed presentation on the features they should know about, like Ultra Thin, Ultra Light, UV Protection, High Impact Resistance, Crystal Clear, Ultra Flat and Ultra Scratch Resistance. Moving on from there, she explained about Wave Technology and various lens coatings that an optometrist must be aware of when making the sale. 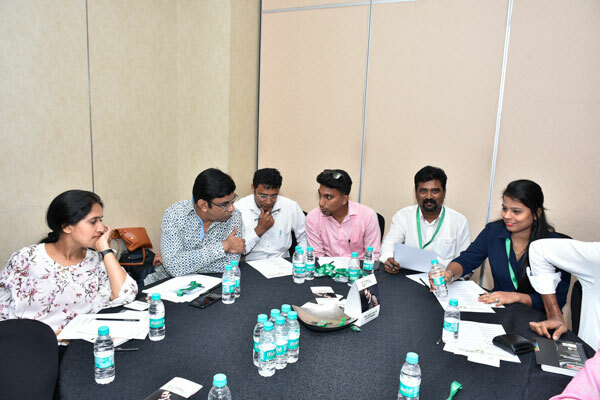 Anantha Lakshmi not only explained the above mentioned topics in brief but also made the participants aware about the need of the hour, which was understanding what a customer needs and wants. “Customer is the king”, so it is his/her right to know what’s best for the products and technology. A short break commenced and the programme moved forward to Nilesh Thithe’s session. 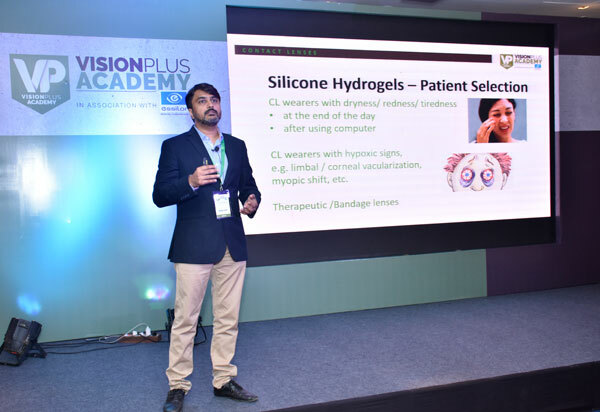 From achieving prestigious fellowships of the American Academy of Optometry and British Contact Lens Association, Nilesh Thite is one of the most decorated ones when it comes to lens education. He is currently working as the Director of Educational Programs at the International Association of Contact Lens Educators. 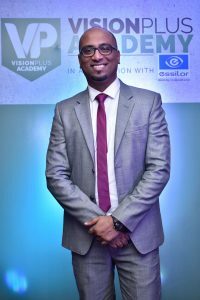 Nilesh is also the director and co-founder of an educational initiative – Masterclass Optometry. 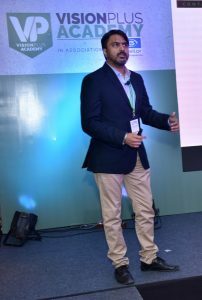 With a vast teaching experience of over 12 years, Nilesh is vastly interested and involved in the optometry education and the scope of optometry practice in India and overseas. 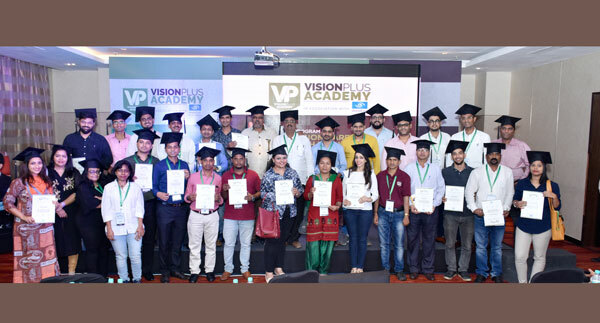 His knowledge of subjects like Dispensing Optics, Contact Lenses and Refraction can be really cherishable for the future of Indian Optical industry. 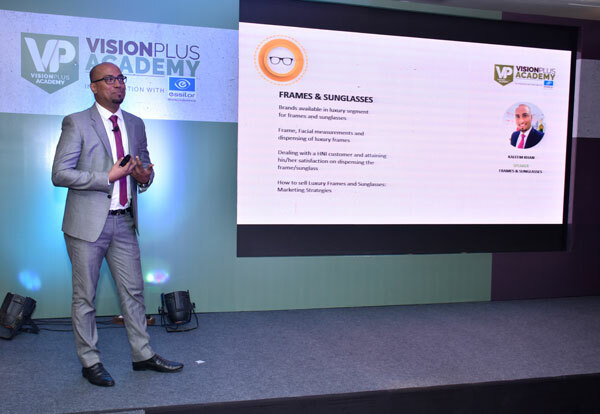 Nilesh Thite’s session began from explaining various myths and facts around the subject: contact lenses. 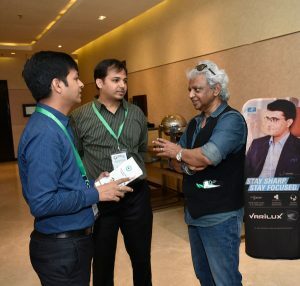 The participants seemed to be able to connect with him while he talked about basic and common concepts and misunderstandings regarding contact lenses. 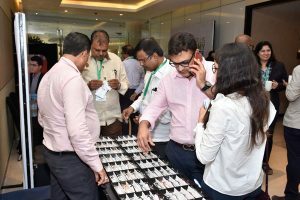 The session also covered major questions from participants about the clinical need for contact lenses and how should they be advising their customers and denying when the requests are not right. Nilesh also gave examples to the participants on how to handle and take a conversation forward with a customer. 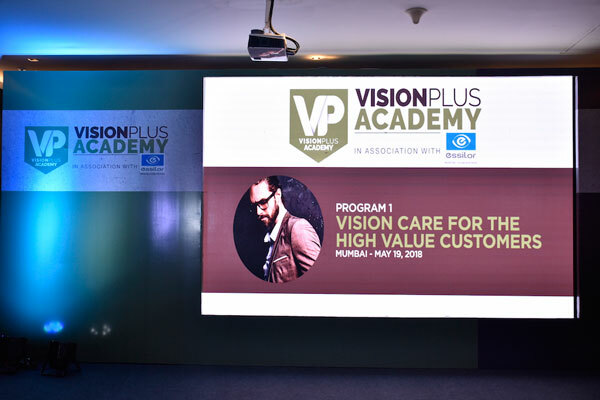 The second session covered why an optometrist should be selling benefits based on value proposition and also eliminate assumptions. Also, the speaker gave an insight to the participants on how to identify potential candidates. Moving on, the third session was conducted after a short tea-break. With over 16 years of experience in the world of Luxury, Kaleem is an all-rounder. He has a career-long experience across the globe in the field of Aviation, Retail and Hospitality. He is associated with leading brand names like the Taj Group of Hotels, Qatar Airways, LV, Emporio Armani, Luxottica and more. While his skill set is enough to train a professional, he is also someone who has an entrepreneurial spirit. 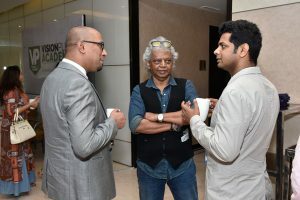 He is the founder of India’s First Luxury Consulting/Training and a Recruiting firm called Global Luxury Culture. Kaleem has trained over 400 employees and has a cross-country experience in his curriculum as he is an MBA from one of the top b-schools in the UK. 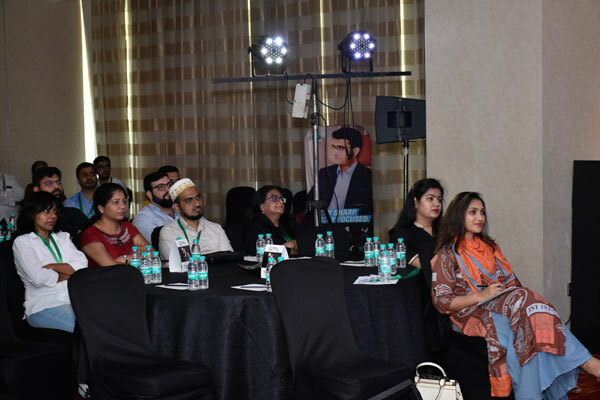 Kaleem Khan gave insight to the participants on what the word ‘luxury’ means. From its origin to the evolution, how luxury means different to all. He also made it clear to the optometrists that when selling to a customer, the definition of luxury must stay the same to all. According to the speaker, luxury can be expressed in three different forms:Possessions, Experiences, and Feelings. Moving on to the same lines during the session, Kaleem also explained how customers are different from one another and before making a sale to any of them, you need to make sure you know what they are looking for. Luxury is built on legacy and passion, essence and attributes. Once the sessions got over and we had a surprise for the audience. How many of you got to attend your graduation and wear a graduation cap, smile and say cheese and get a picture clicked? Our participants did! They collected their certificates, study material and smiled brightly for the camera!